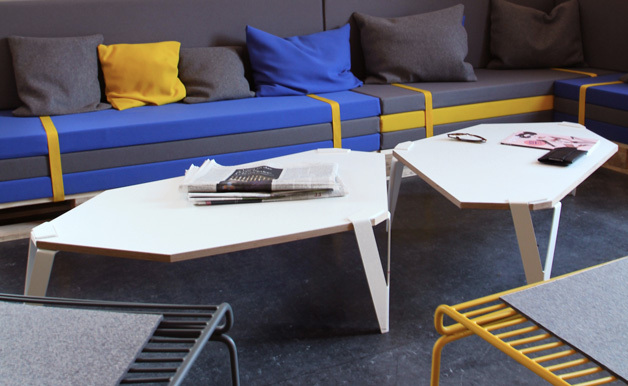 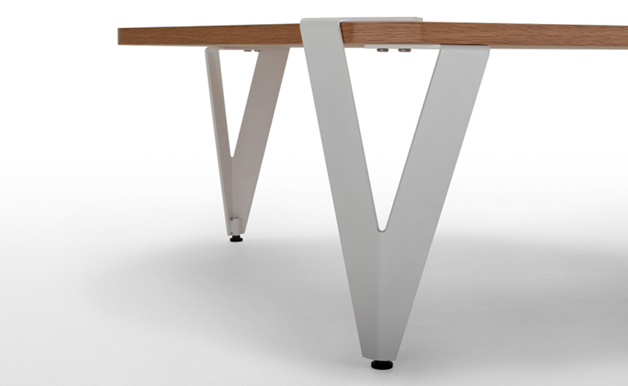 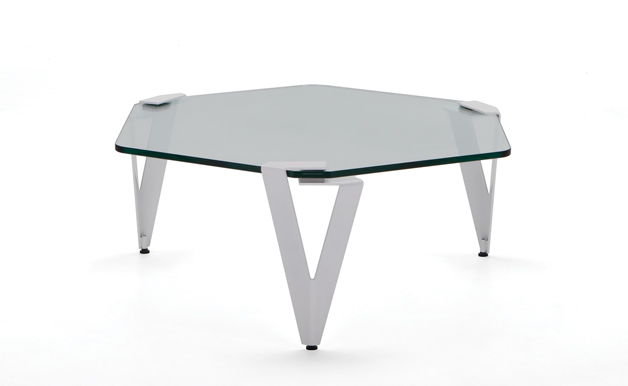 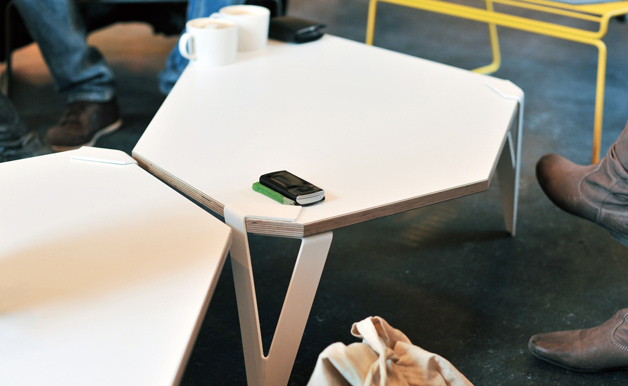 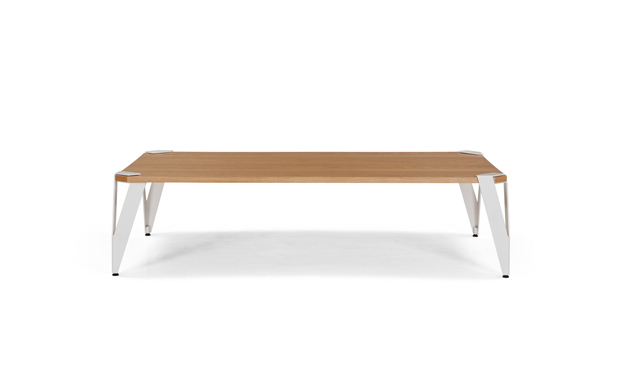 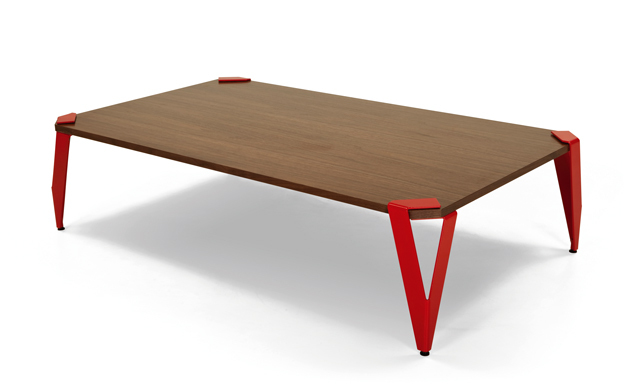 An angular tabletop supported by folded sheet metal legs clasped to its corners. 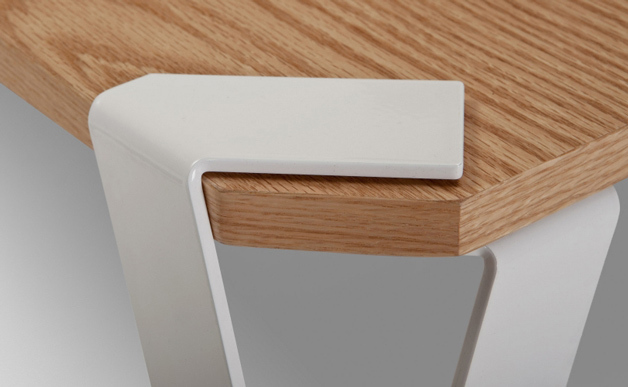 Any 20-25mm thick surface with 90 or 120 degree corners can be transformed into your custom side table. 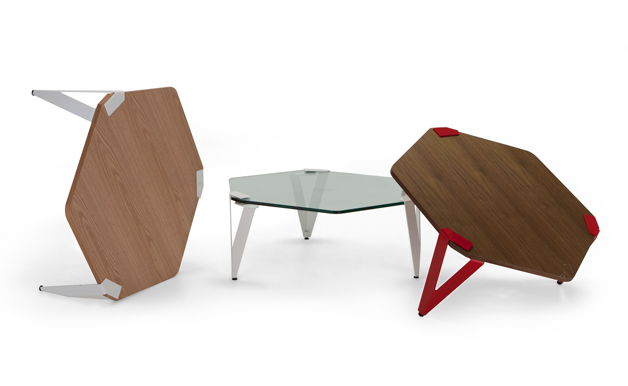 In 2012 MADE launched 2 versions, one with a rectangular and one with a hexagonal top.